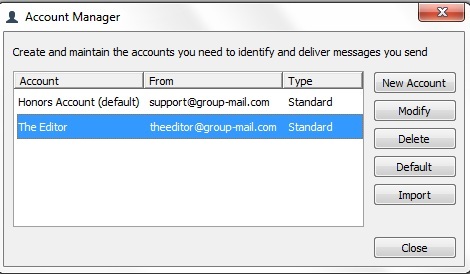 After installing GroupMail, the first thing you might want to think about is how you want to represent yourself when you send email. Who do you want to send your email from? 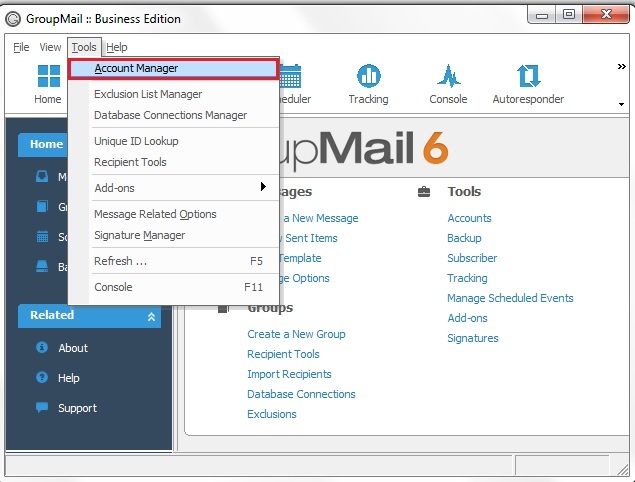 Your email from identity is created in the account manager section of the software. Your email from identity is what will appear in the From field of each email you send out. Who are you sending your email from? 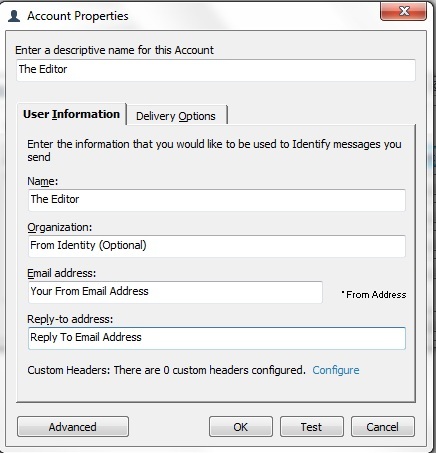 The information that you enter in the Name and Organization fields on the User Information screen (see image below) is what will actually appear in the From field of the emails you send. There is often debate about whether a commercial sender should use a personal name, company name or product name to represent the email that they send. Luckily, you don’t have to listen to anyone else. Just ask yourself how you want to represent yourself with each email that you send. This is what your recipients will see when they receive email from you. You can leave the Organization field blank if you wish. If you include something in the Organization field, it will appear (in parentheses) after the information in the Name field. Do you want your email to come from your personal name? A business name? A product or brand name? You will also enter the email address you are sending your email from and the email address where you want replies to go to on this screen. Those addresses can be the same, but they don’t have to be. You can also include multiple Reply-to addresses. Just separate the email addresses by commas. Click “OK” to save your changes. 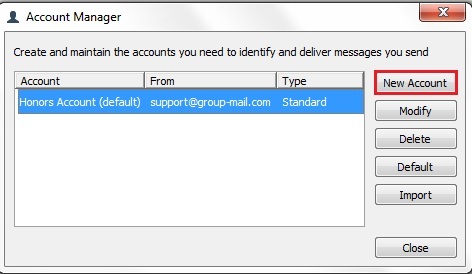 You can create any number of email accounts and “email from” identities in GroupMail. This is useful if you plan on sending email on behalf of other people in your organization or for clients, or if you send various newsletters or email campaigns for different products or services that you offer.